Our last full day in NYC. I had my obligatory I (heart) NYC t-shirt, seen a broadway show and ate at some cool places. So our last day in was reserved for meeting with friends and one last bit of walking around. 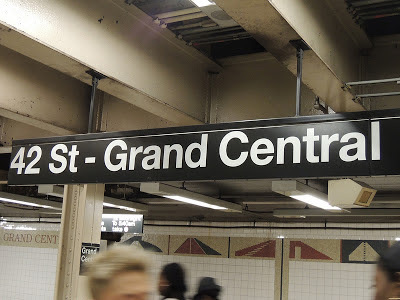 We made it to Grand Central station which is an amazing place, there was even a very ethnic food court located downstairs. Very hustle bustle I need to print out that picture and hang it in my office. 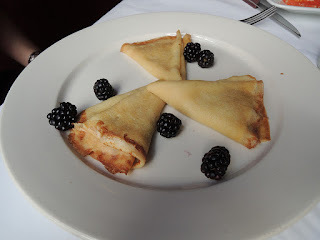 We were originally going to meet my wife's friend at a brunch location, but it had a 45 min wait which we weren't up for and I took the opportunity to suggested Brasserie Les Halle that we passed on the way. I had to explain to my wife Les Halle was where the "tall guy on the travel channel goes around the world eating and swearing a lot use to work." the light of recognition hit her eyes. (we're both big fans of Anthony Bourdain). 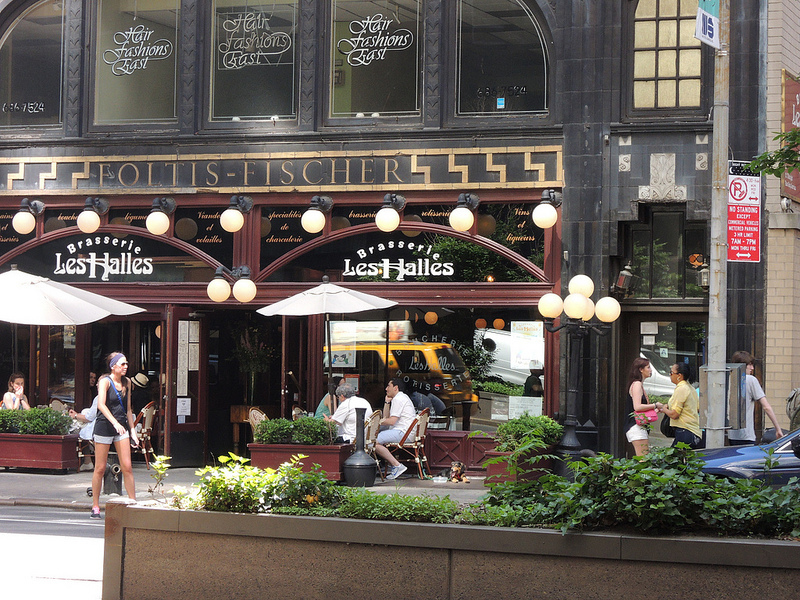 Of course Les Halle's executive chef is no longer Anthony Bourdain but Carlos Llaguno. We opted for the classic french breakfast. My wife got the crepes, which were fantastic and I got the Parisian bread basket with a baguette, croissant and chausson aux pommes (apple turnover). I inquired if all breads were made in house and the reply was "of course". The croissant was every bit of what I remembered from the Parisan bistros of which I had a devil of a time to find in Austin. I kind of wish we got a tad bit later to order from the very interesting lunch menu. In the evening we went off into Brooklyn and found my long time friend Lee. He and his partner prepared a wonderful meal for us, I only regret that it was so dark I took some pretty crappy pictures. We started off with some grilled eggplant and fennel. 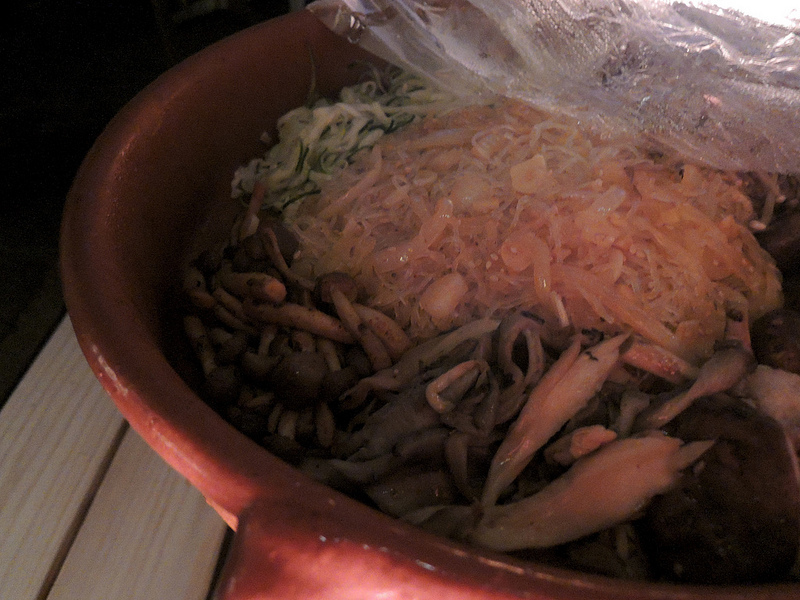 Lee whipped up a Korean inspired bean thread accompanied with four different marinaded mushrooms and a pickled zucchini. I'm still trying to get the recipe from him. 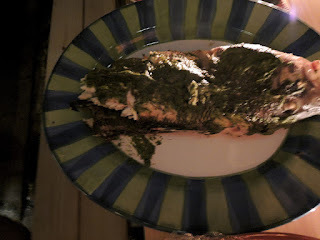 The main entree was a barbecued striped bass (sorry an especially bad picture, considering it was pitch black in all these photos I still applaud my camera). 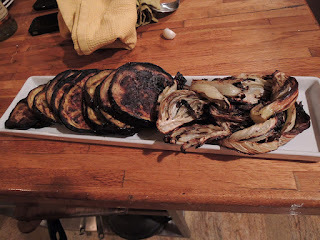 Lee asked me to dig thru their pantry to whip up something to go with the fish and I came up with a sunflower and smoked pepper pesto that was applied as we finished the fish. I figured the added fat would bolster the leaner fish. Ok that was it for New York. My memory card managed to fail and I think I lost all of my Boulder photos. We had a pretty memorable meal at Ten Ten Brasserie I hope I can recover the photos, if not go and check it out for yourself.